Milan Fashion Week has introduced us not only gorgeous collections of outfit, but make up ideas and also a lot of unforgettable hairstyles 2015 for spring and summer. 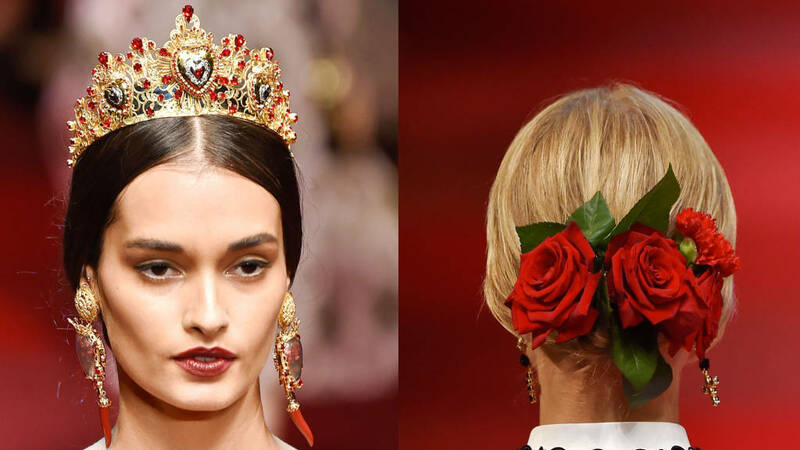 One of the most impressive hair trends 2015 that was spotted during the Italian fashion week was the Spanish inspired hairstyles collection by Guido Palau for Dolce & Gabbana show. As Guido mentioned ladies want to look soft and feminine and this is what he tried to create and succeeded. 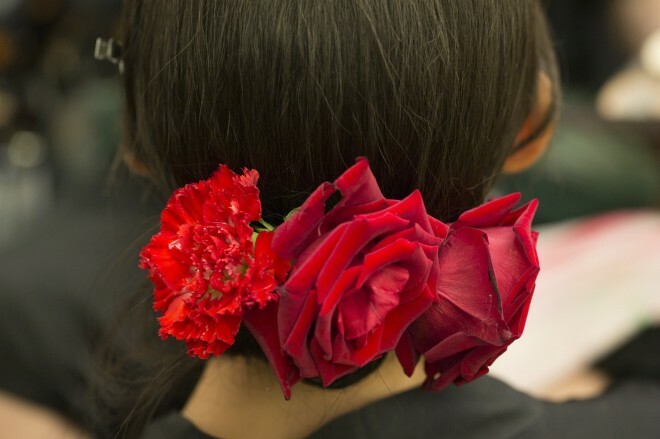 Relaxed and easy hairstyles were accompanied by gorgeous hair accessories that were tiaras and bright red flowers like roses. 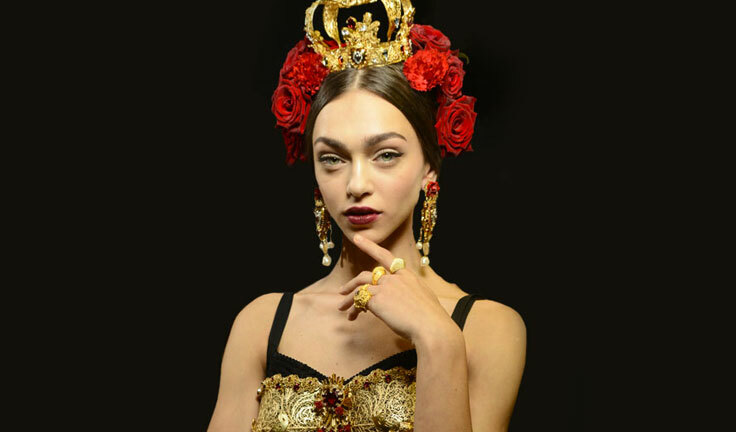 The hairstyles spoke greatly with the black and red Spanish dresses of the models and created the atmosphere of femininity taking back to the times when Sicily was ruled by Spanish Kingdom. 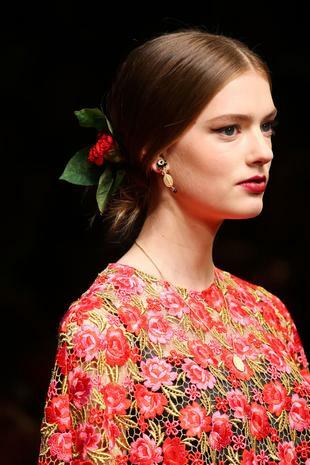 Floral hair accessories for spring summer 2015 will indeed create the most popular hairstyles for the season. At the backstage while creating these masterpieces you could see the models in their creative and majestic dresses trying to make photo of their relaxed buns and flowers in the hair, it was a real fun. What Guido Palau wanted to create is the image of a woman from Sicily from the times when it was ruled by Spain during the rule of House of Habsburg. Guido used flowers simply from bins all around, roses seemed to be gathered after a corrida and perfectly reflected to spirits of the times. 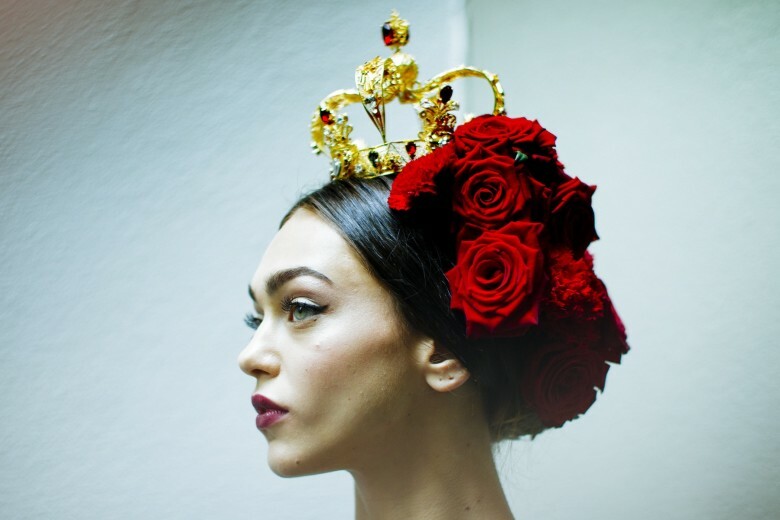 He placed the roses randomly on a neatly adjusted jewel hair accessories and tiaras. 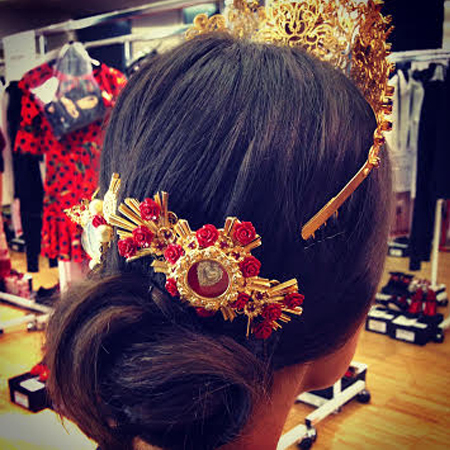 And although among jewels the fashionable hairstyles looked mostly for a runway, I can perfectly see them without tiaras and perfectly suiting an evening or a party dress for the coming SS15.